Where we discuss topics relevant to managers and provide tactics for change and growth. Change is inevitable. As managers, we can't control the fact that change is going to come to our organization. But we can, however, influence how we handle it personally and how we help our team handle it. In, 'Leading Through Change', Michael and Anne discuss how to personal approach change and how to support your team through change. In this episode, you will learn helpful tips (like the 5 Ps of change management) and behaviours to avoid. 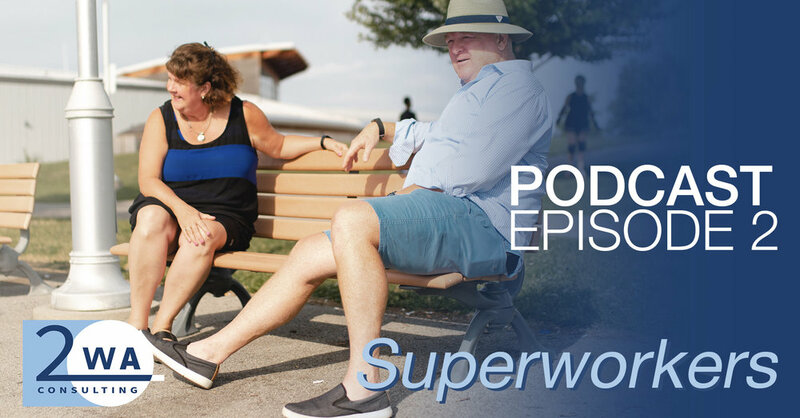 In episode 2 of the 2WA Consulting podcast, Michael and Anne discuss the repercussions of micromanaging and being a superworker. When managers focus solely on getting tasks complete they hurt their teams, their careers and create more work for themselves than they need to be doing. Through the podcast, managers can learn the 4 Ds of balancing management and day-to-day functions and free themselves to think more strategically. In episode 1 of the 2WA Consulting podcast Michael and Anne discuss how to motivate employees. Even our best team members go through slumps or have off months, learn the 8 ways to motivate employees in this insightful podcast.